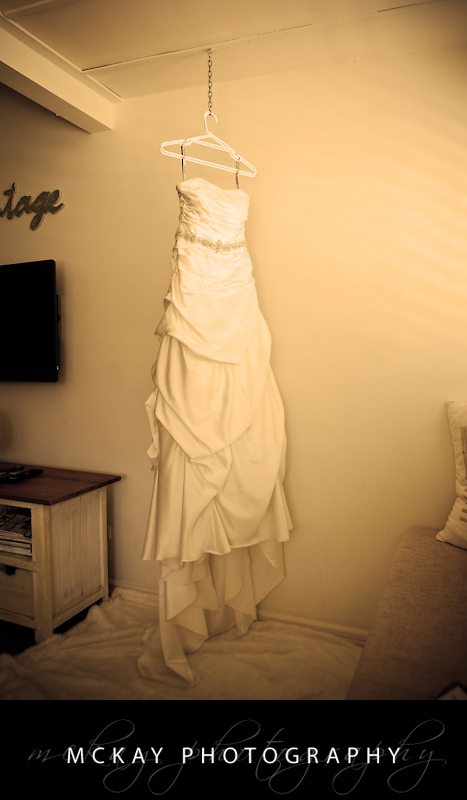 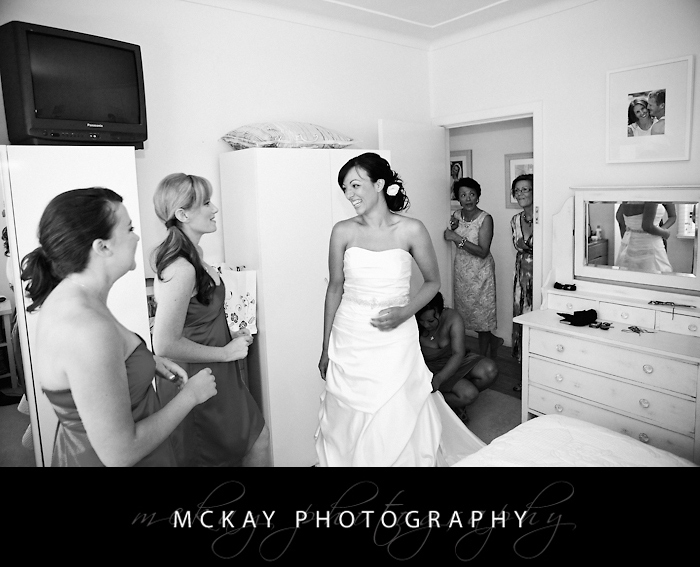 A great location for the preparations can really add to the photos and I loved the house where Amanda was getting ready – it had a very cool beach style that suited the wedding day really well. 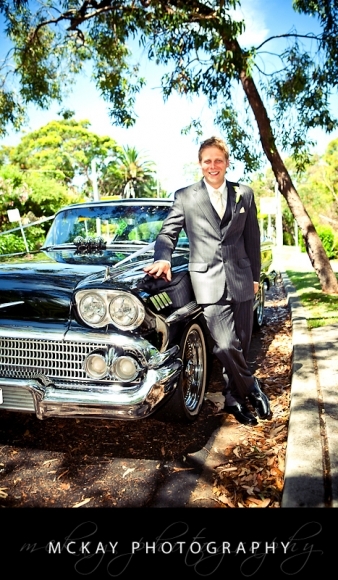 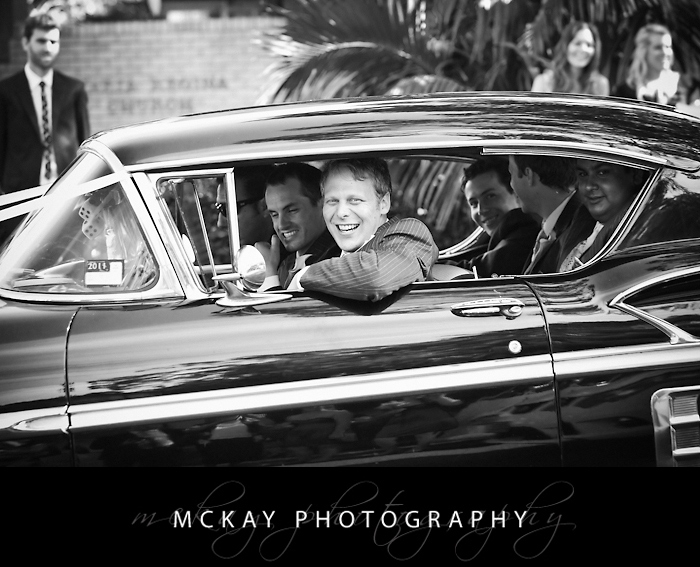 The ceremony was at the Marie Regina Church in Avalon and I took a few shots of Ben and the cool cars before Amanda pulled up in a combi van! 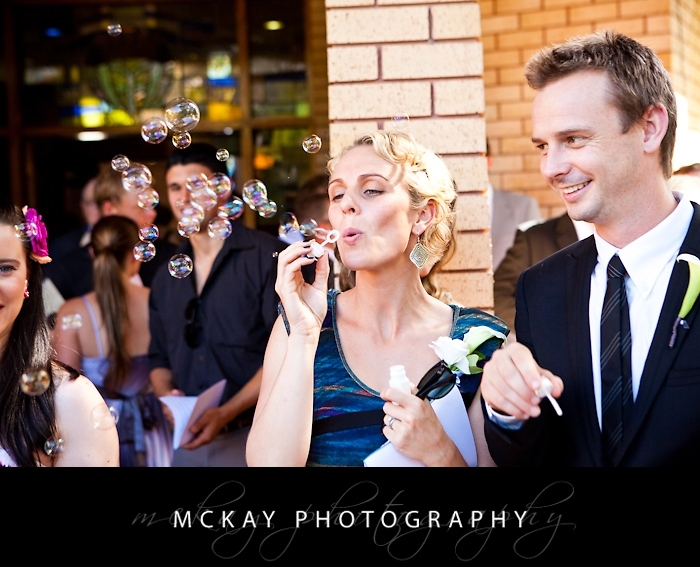 The ceremony had plenty of laughs and the bubbles outside the church were a big hit. 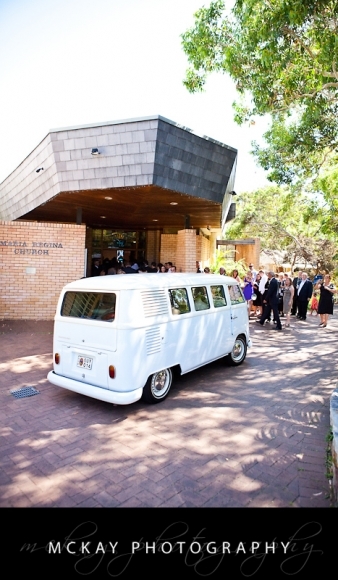 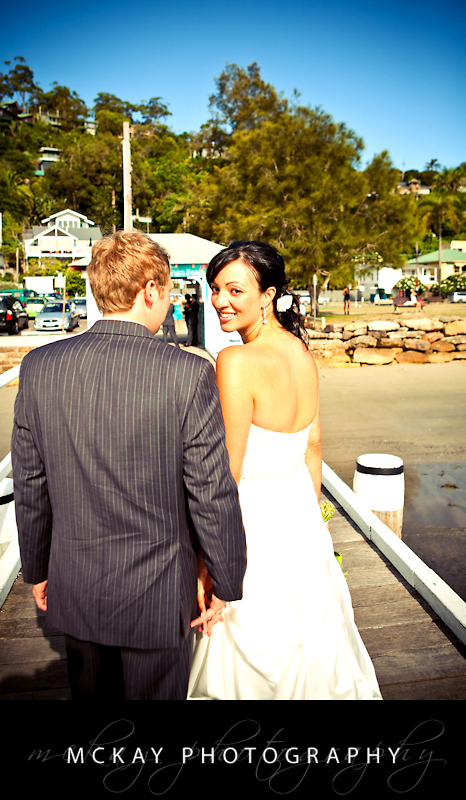 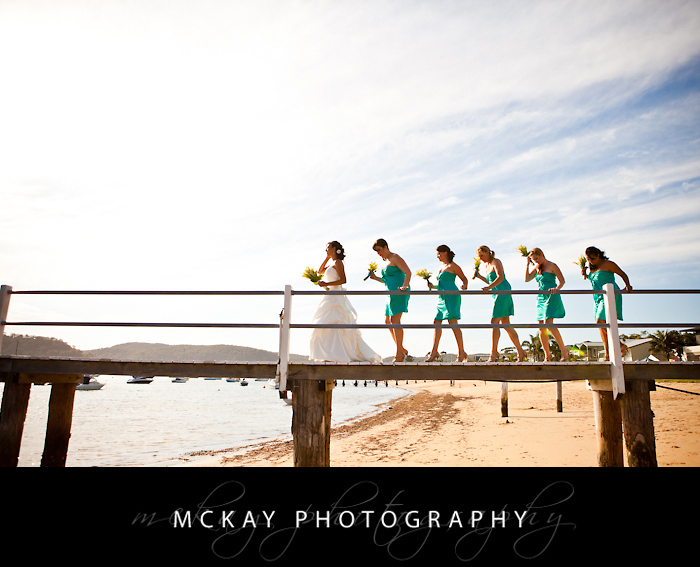 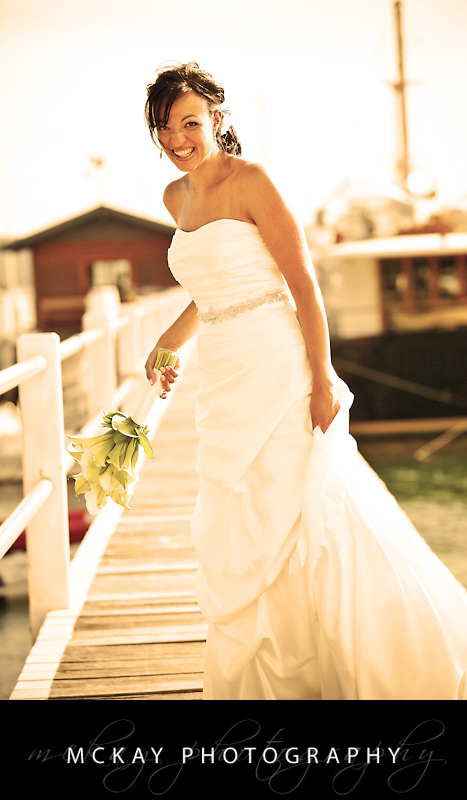 After the ceremony we headed to the Palm Beach Ferry Wharf for our first location shoot, and then to another wharf nearby before arriving at Whale Beach. 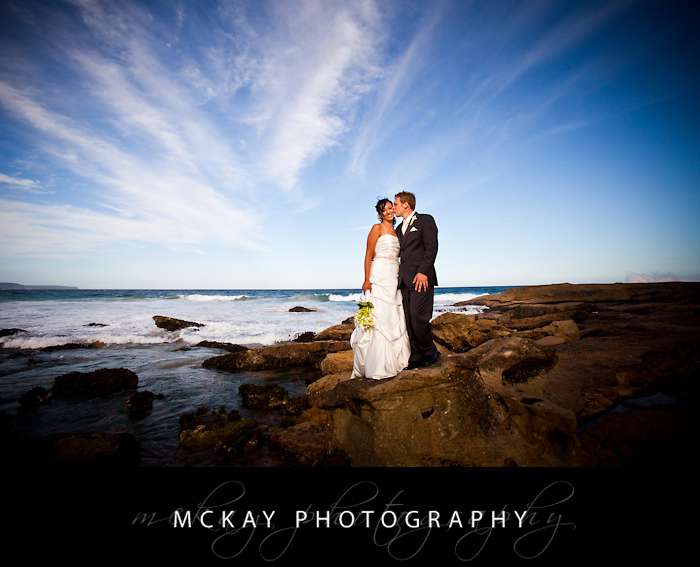 The late afternoon light was fantastic and we got some awesome photos on the rocks! 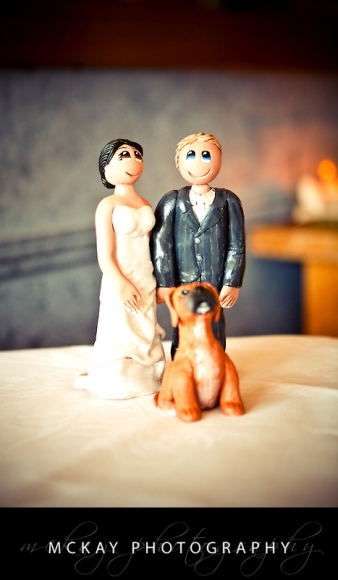 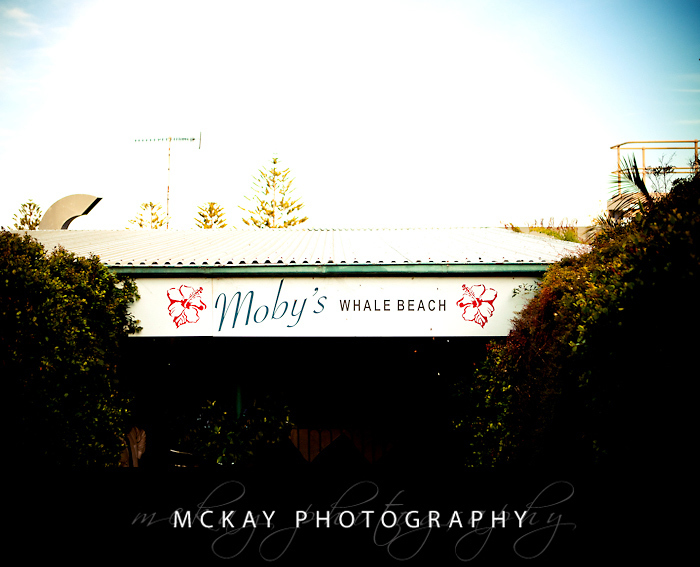 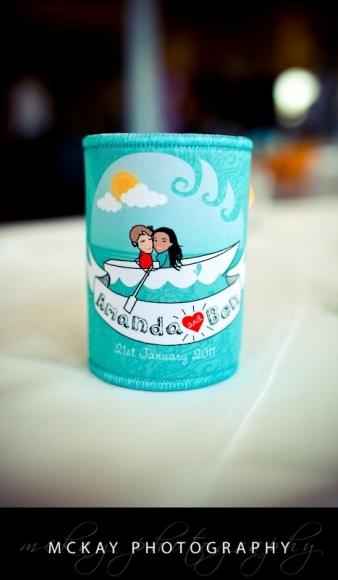 The reception was at Moby’s – a great venue right on Whale Beach – and the personalised stubby holders and the wedding cake were fantastic. 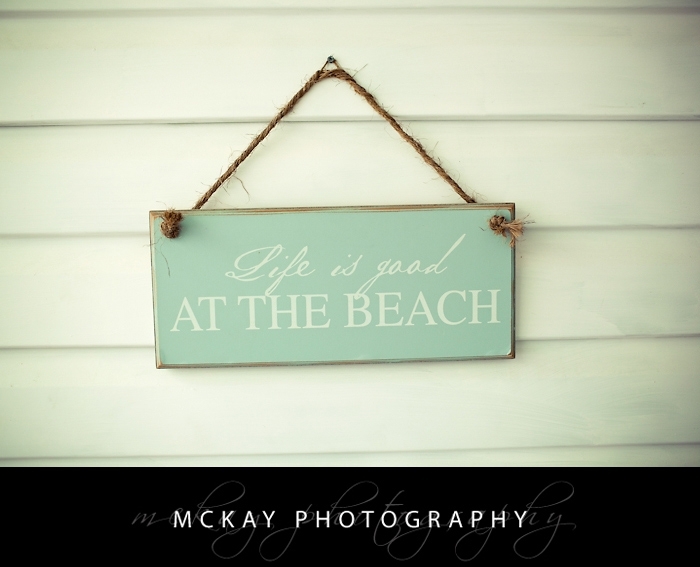 A great day – life is indeed good at the beach. 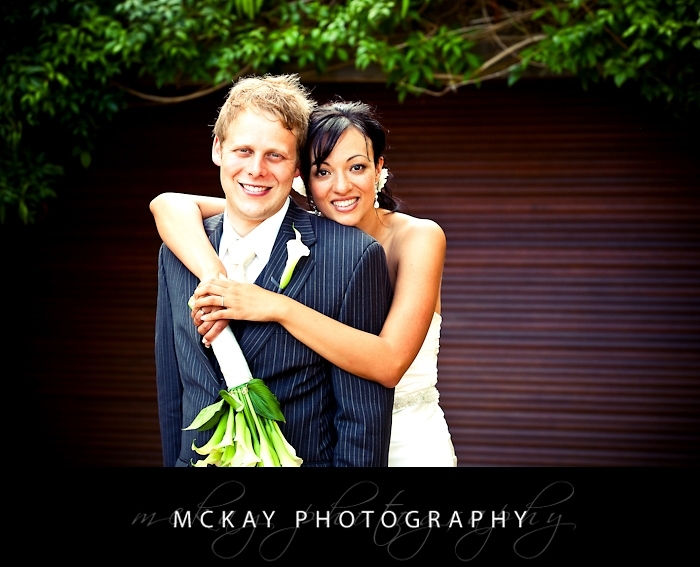 Congrats guys! 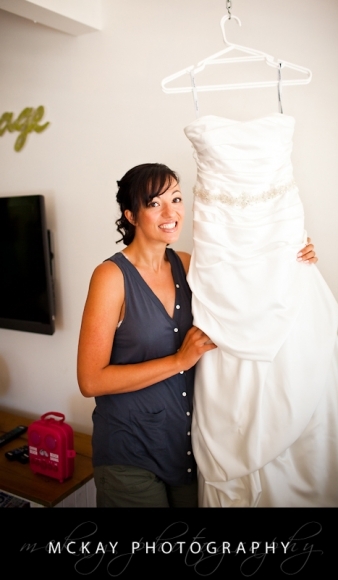 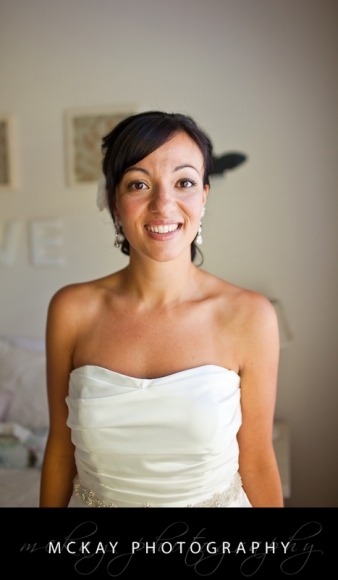 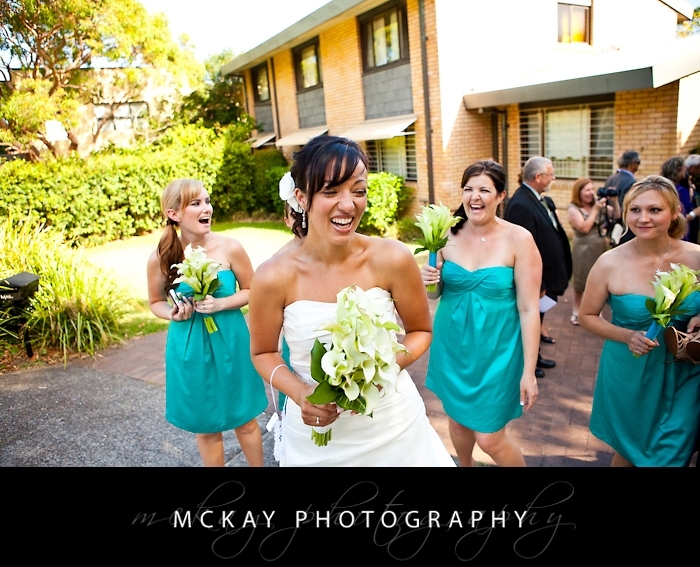 Make up was by Jess Berg – awesome as always! 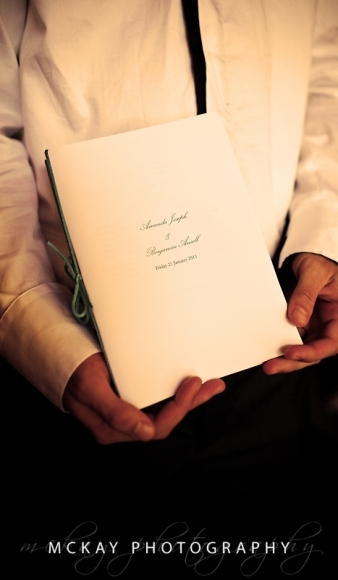 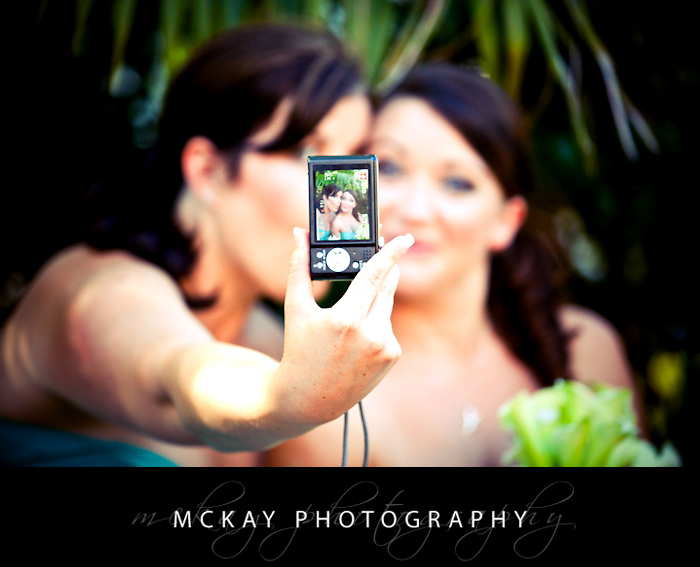 Like to share this with a friend? 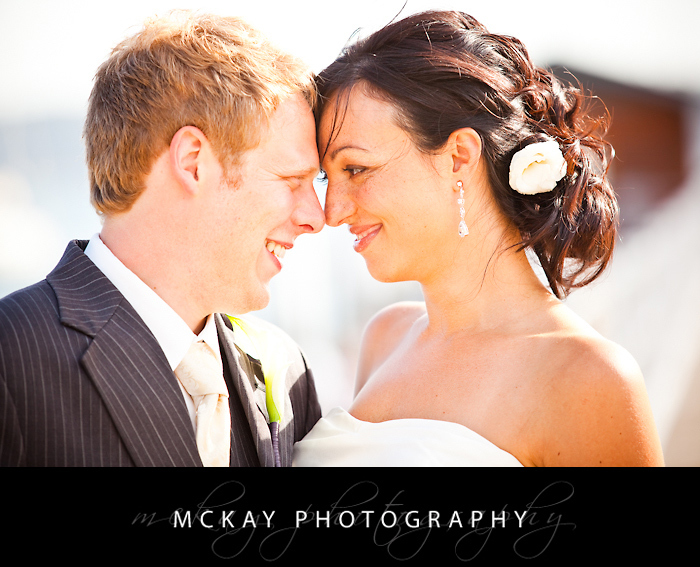 Simply click here. 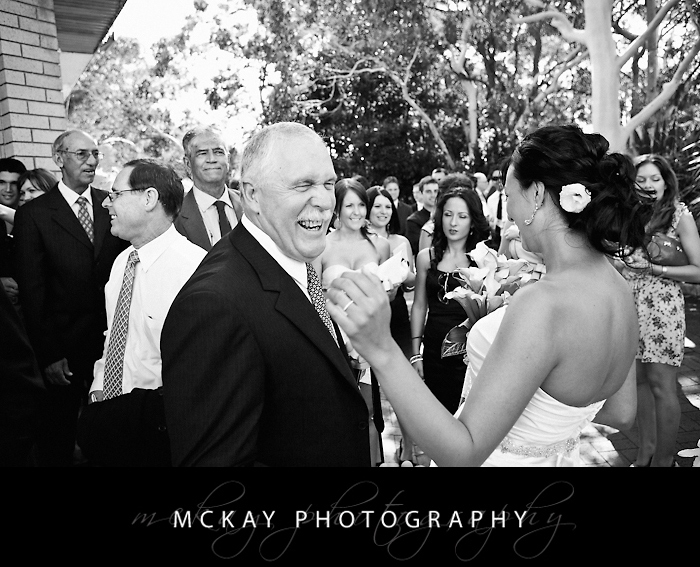 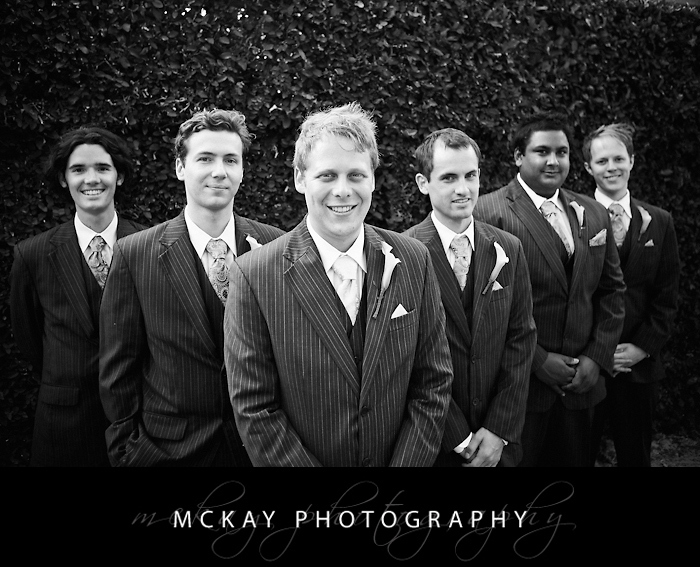 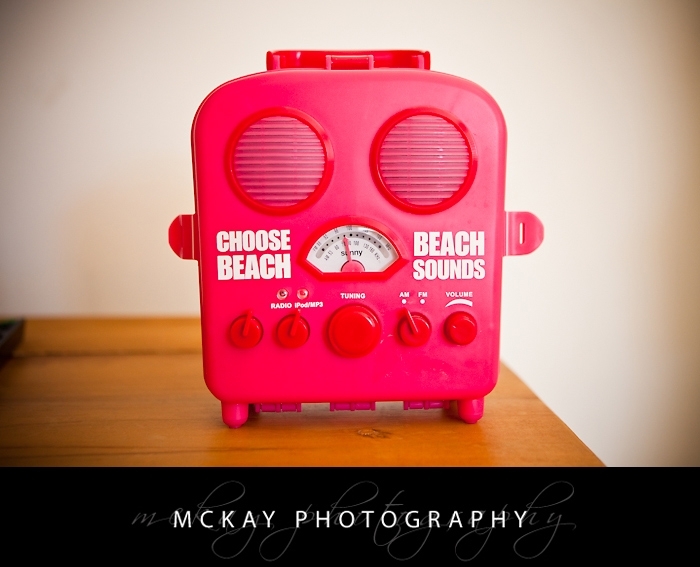 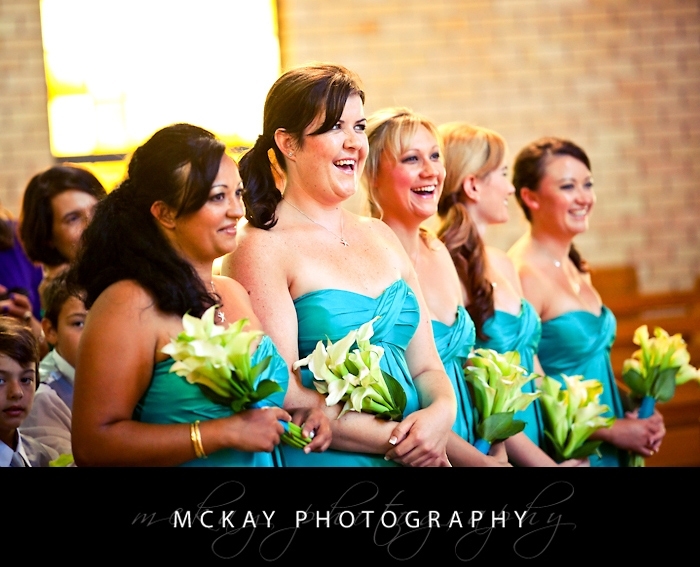 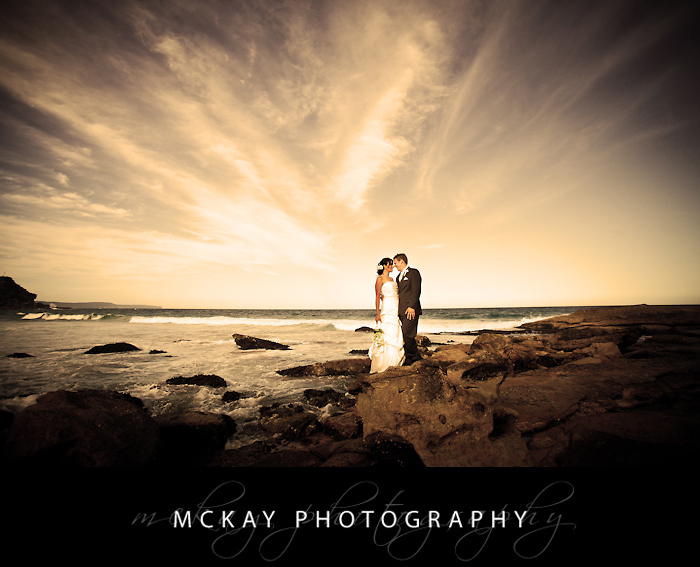 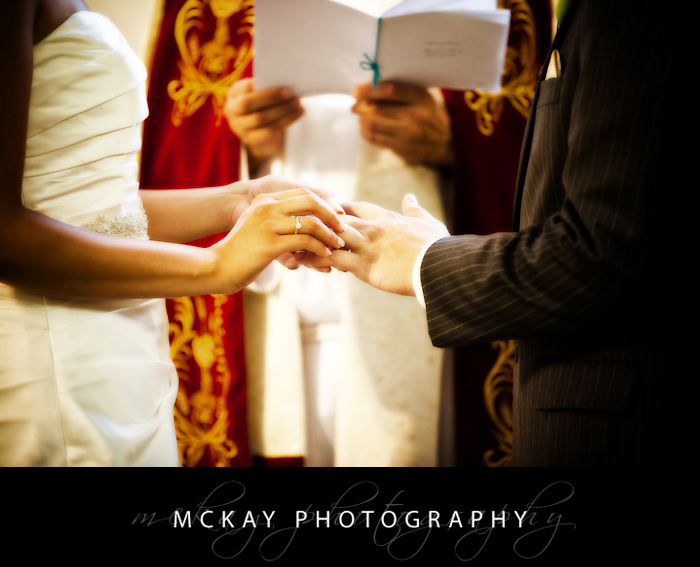 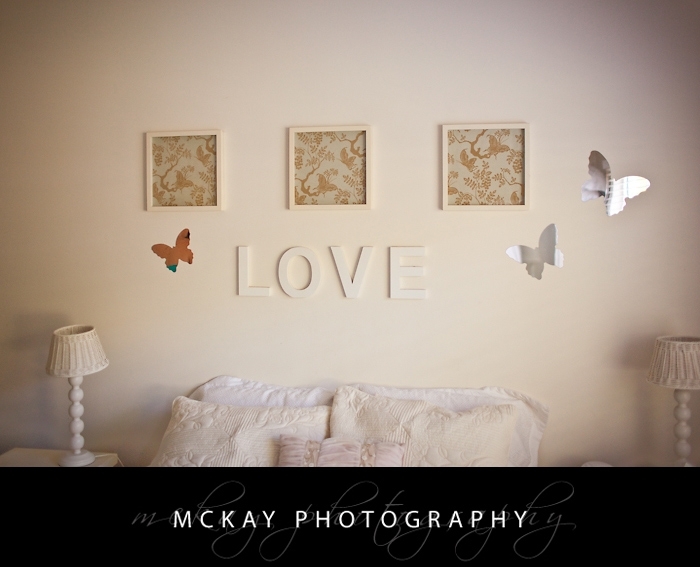 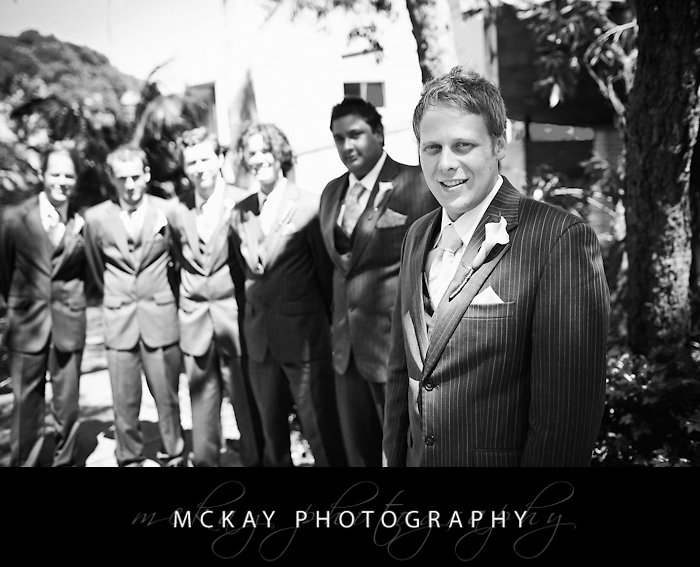 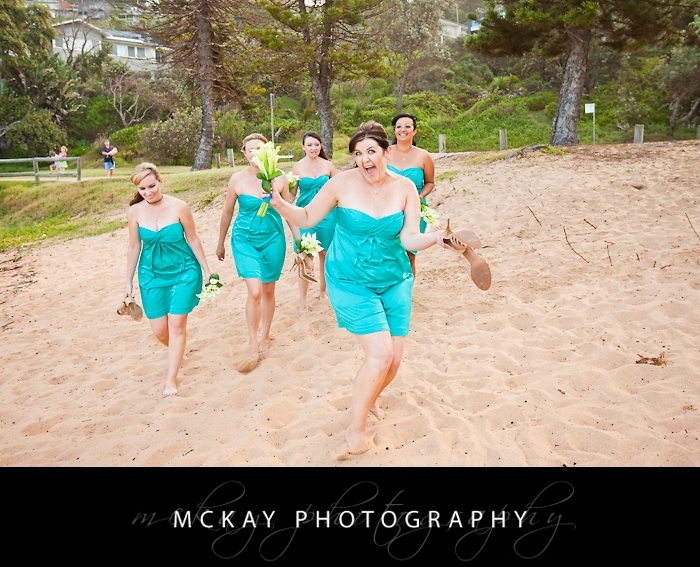 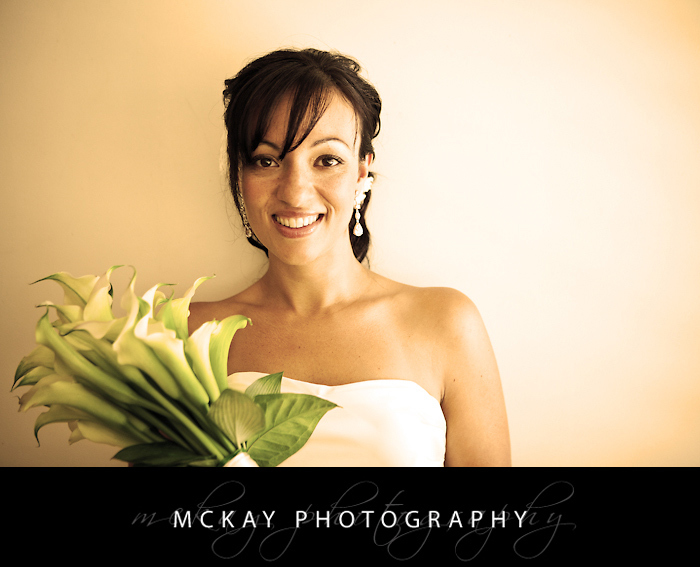 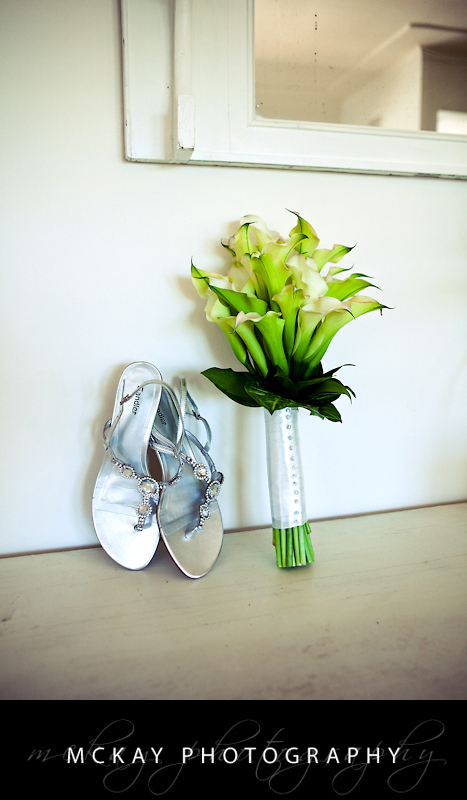 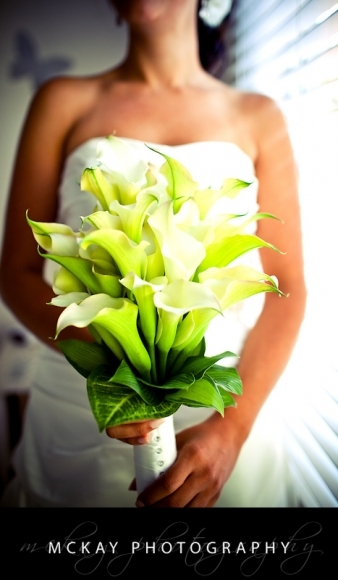 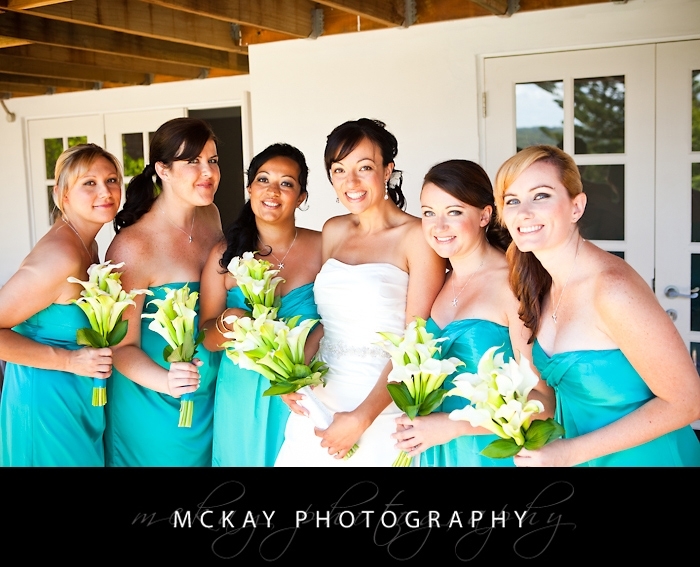 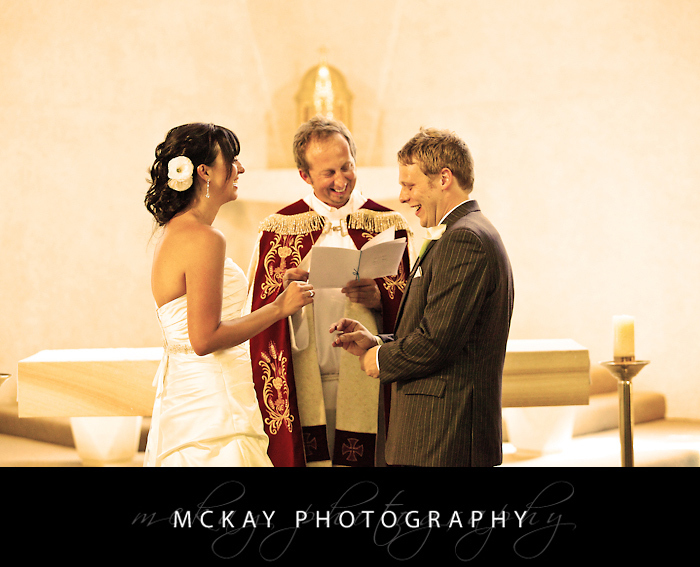 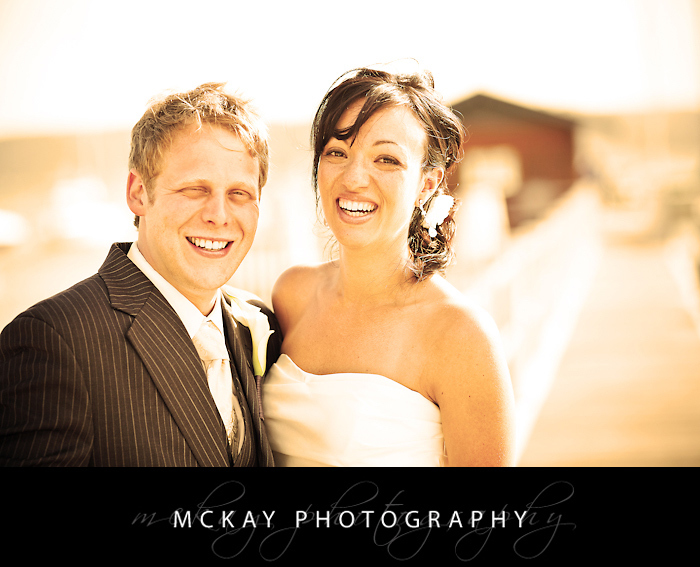 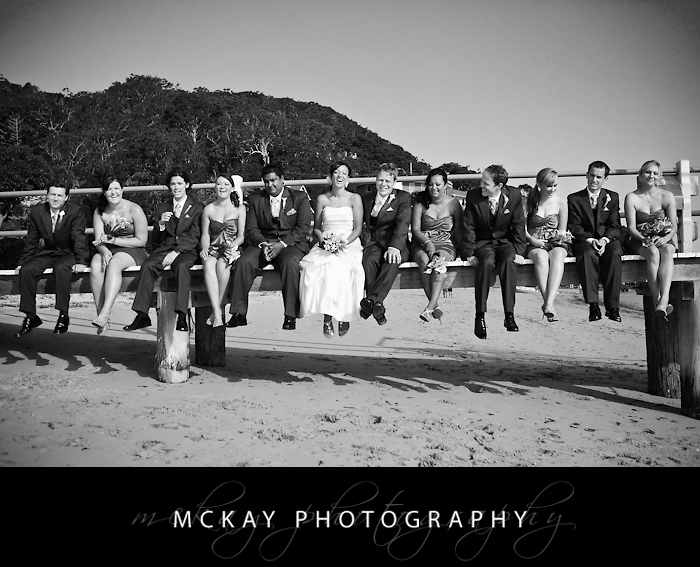 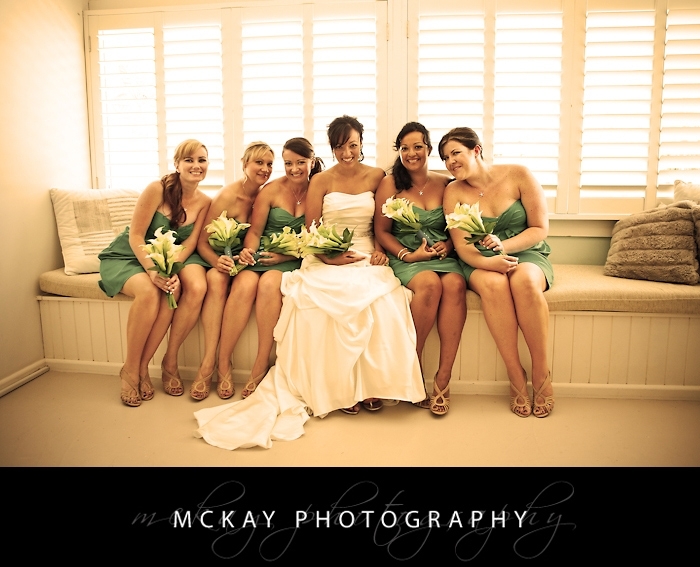 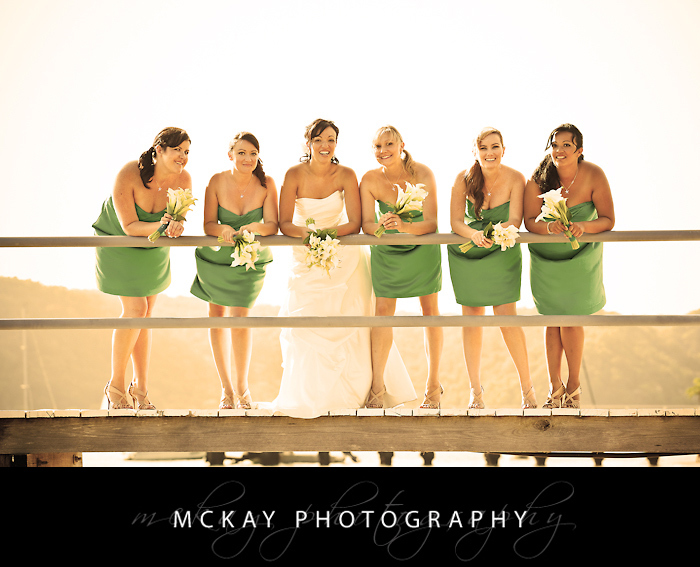 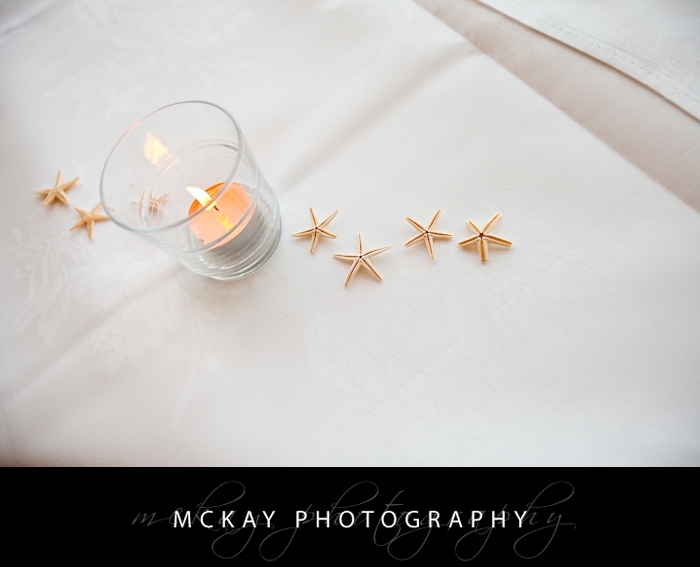 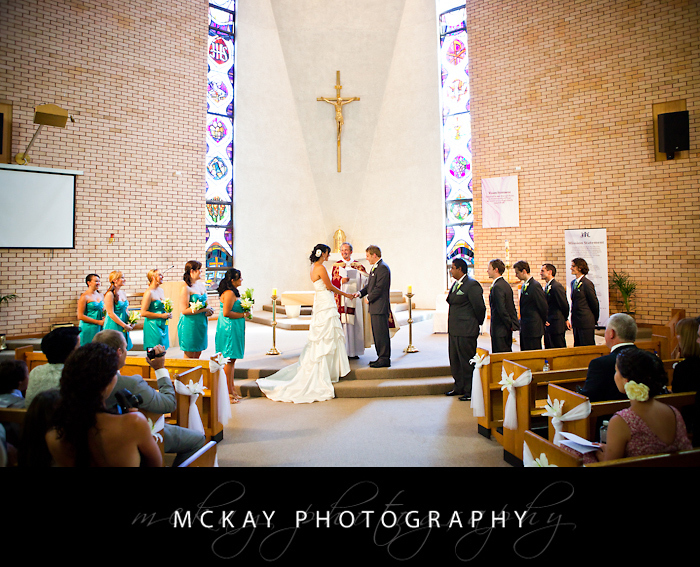 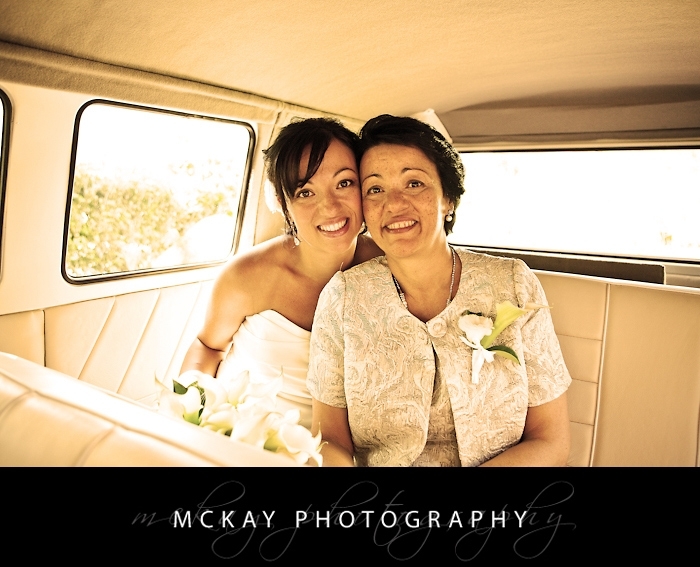 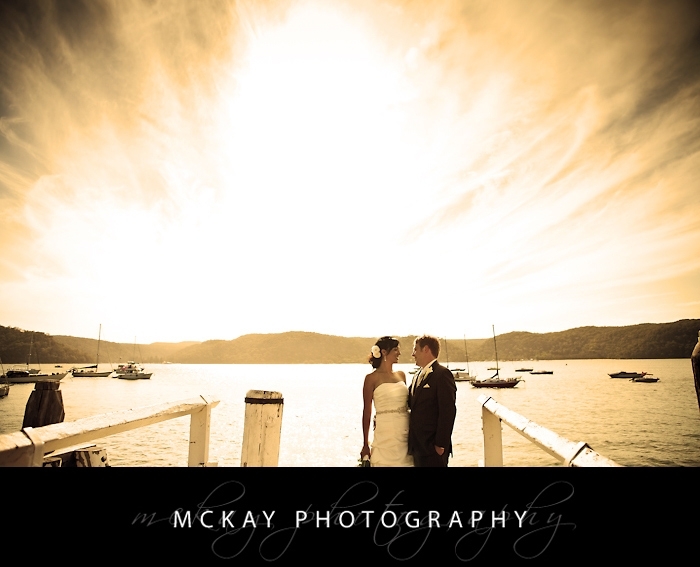 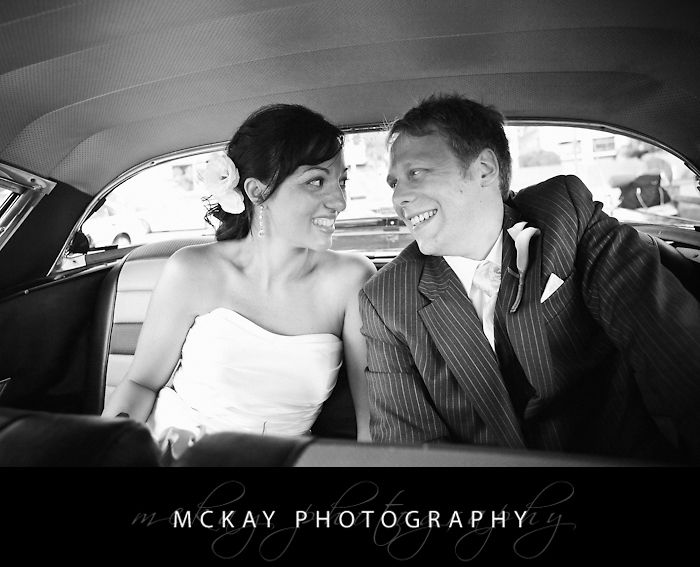 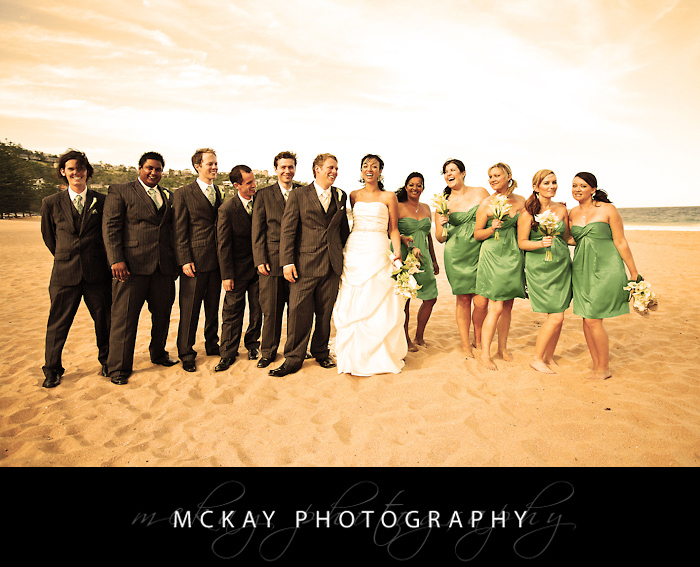 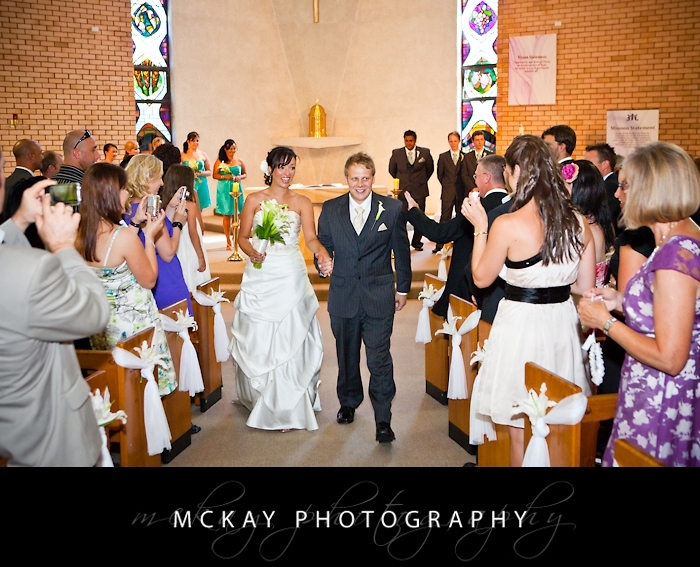 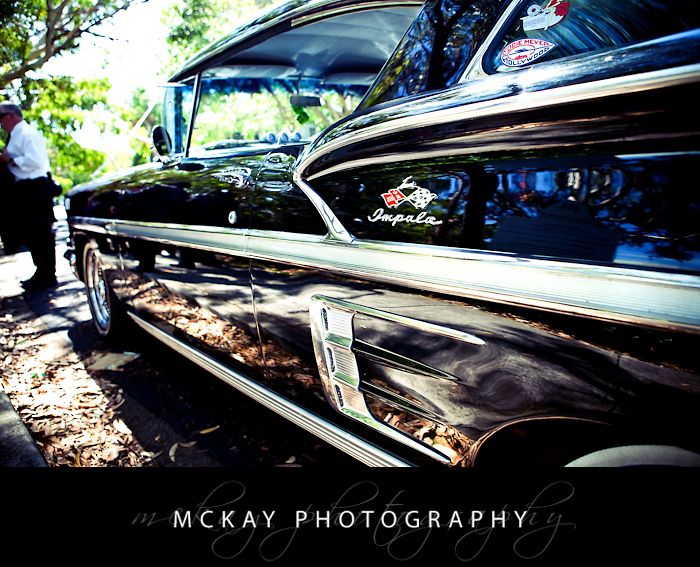 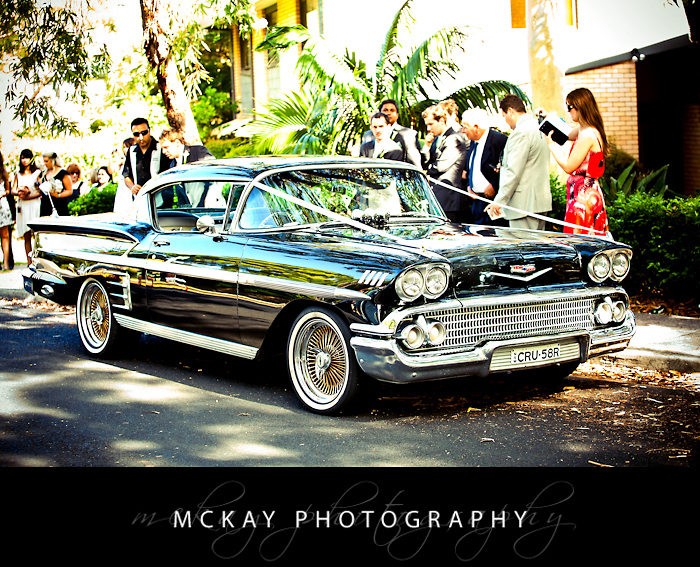 You can also become a fan of McKay Photography on Facebook! 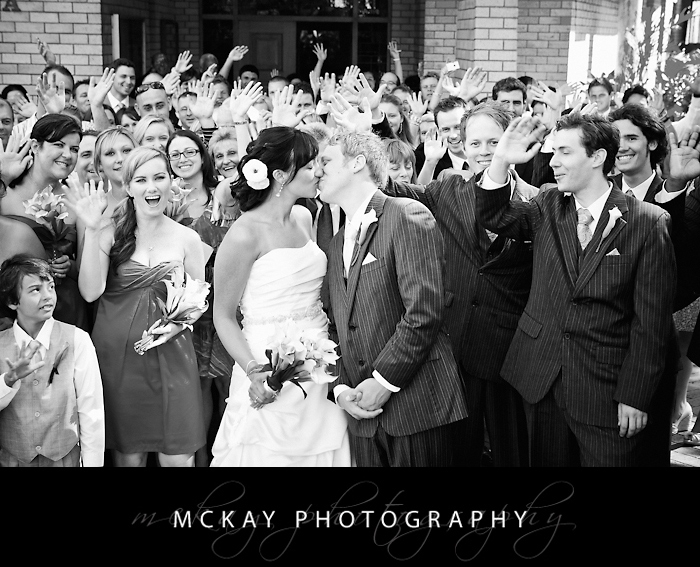 by Darryn McKay at April 15, 2011 .